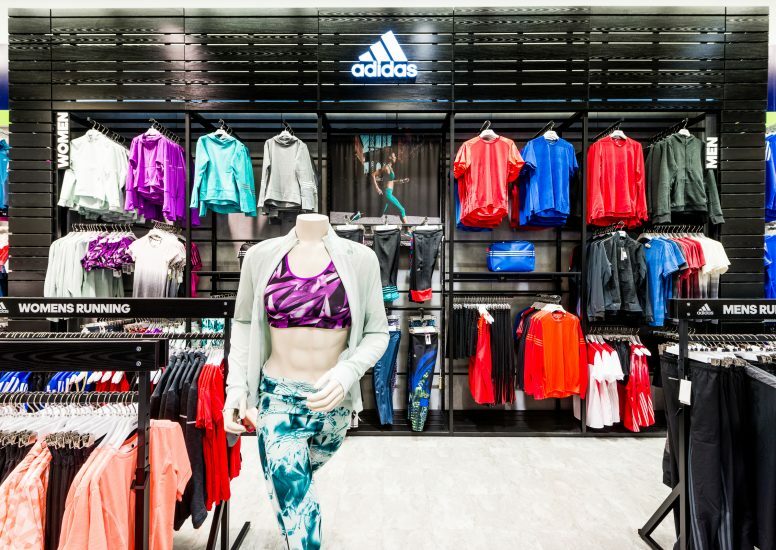 Here at D4R we have been tasked with a new retail design for Adidas at Sweatshop Meadowhall. The redesigned areas incorporate fully illuminated logos, light box detailing, campaign shots and video screens that show off the range. The space now highlights all the technology incorporated in Adidas’ Boost running shoes. 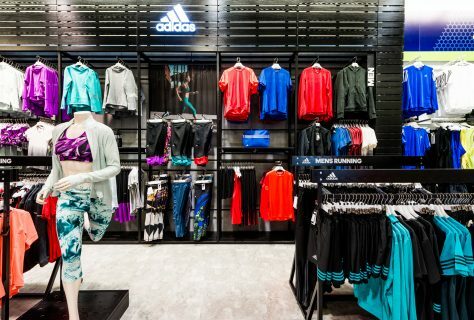 Black wood has been used in the space to create a contrast between Adidas and the rest of the store. Eye catching detail has been created in the walls with bubbles of various thicknesses being created in the acrylic. 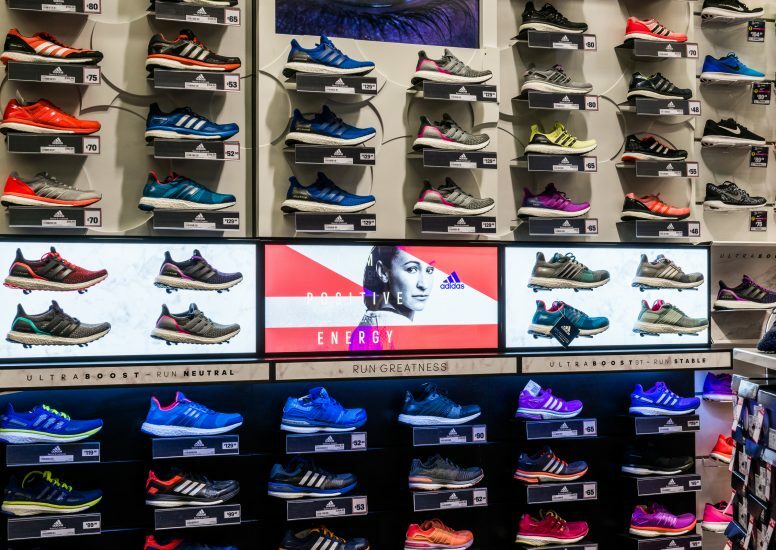 Following Sweatshops store design a central strip within the shoe wall highlights key pieces from the Adidas range, the use of light boxes displaying promo shots allows the Adidas shoe to stand out in comparison to the rest of the store and create a visual impact. The new apparel bays in Sweatshop are floor to ceiling black textured wood which visually impact any customer in store. 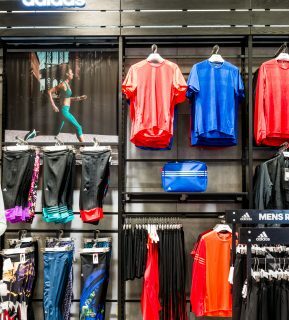 High level illuminated branding is utilised within the apparel wall to ensure Adidas stands out amongst the rival brands in store. Mannequins used within the apparel space aid in the visual impact and advertise Adidas clothing in a simple yet effective way. 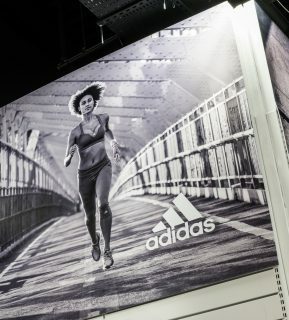 Images of the latest Adidas campaign are shown in various areas of the store including a high level campaign shot shown above the stores exit to ensure Adidas is the most prominent brand. 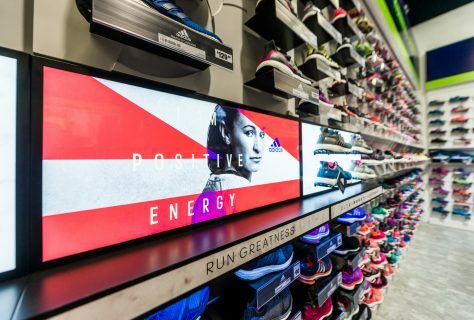 D4R design 2nd House of adidas in Greaves, Glasgow!